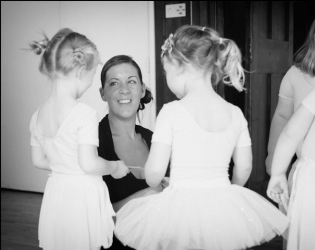 I am so passionate about The tutu Club and know how important it is to find activities for children to do that not only do they enjoy and feel part of, but that ticks all of my boxes as a busy Mum too. I started ballet classes at the age of 3 years purely for the reasons behind the tutu club, I needed an energy packed, creative outlet. This weekly run around for my Mum and I soon progressed to many weekends away attending dance festivals, competing with top talent from all over the country and led to some fabulous memories. I won a scholarship for the Royal Ballet Summer school, Danced alongside the English National Ballet and picked up the Imperial Society Of Teachers of Dancing’s prestigious “South Eastern ballet champion” title at 12 years old. I continued my training across all dance disciplines forging my way to achieving a bursary grant to attend a vocational placement at the world renowned Northern Ballet School in Manchester. After 3 fantastic years of tough but incredibly enjoyable training, I graduated, with distinction in my teaching exams, Advanced RAD under my belt and also the school’s final year award for “Best all round dancer”, all of which I am incredibly proud of. From dancing college I was given the opportunity to sail the world with Princess cruises. I spent the next 3 years as Dance Captain on a number of ships visiting many, many countries, developing life long friendships and realising the absolute joy that my training had given me to experience. Following my return to the UK in 2004 I worked in the media world, with ITV and Meridian and fund raising for children’s charities based out of, Power FM and Ocean FM….until The tutu Club was born! In 2012 I was very honoured to be awarded the”Mumpreneur 100 award”. I was elected as one off the 100 top Mumprenuer’s in the country – something I am very proud of. The tutu Club is a Recognised School with the Council for Dance Education and Training. We were awarded the Council’s certificate of good professional practice in 2016. This demonstrates to our members, parents and guardians that we adhere to the standards demanded by the industry; standards designed to protect and safeguard young people dancing. I currently teach the tutu syllabus on Wednesdays and Saturdays with the support from our fantastic teachers. As well as this I run Core Stability for adults on Mondays, Tuesdays and Thursdays. I am also currently studying for my Specialist diploma in Advanced Mat Pilates. Why not read more about The tutu Club’s amazing teachers?